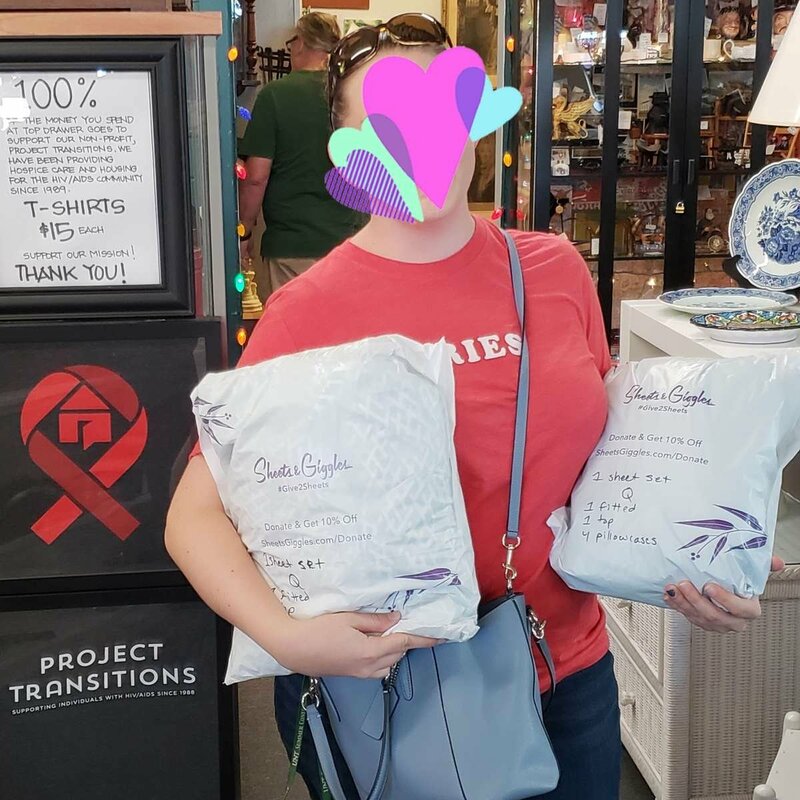 Looking for a way to donate old sheets, or return your S&G order? Blankets and sheets are the #2-most-requested item at homeless shelters (behind socks). To help with this shortage, S&G includes a donation bag in every order to help you make a very real difference in someone's life. 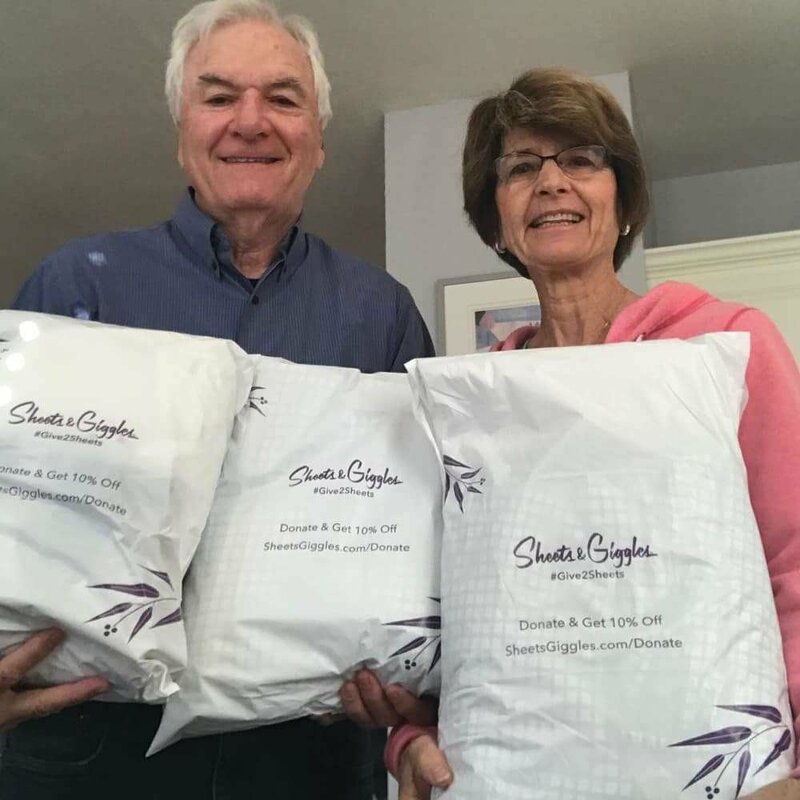 Pop the sheets you want to donate in the white donation bag we include in every order. Take a selfie of you donating them in our white bag (for proof and so we can promote your generosity on our social media). For each set you donate, we'll reply with a randomly generated code for 10% off your next order, good for any time in the future! This way, with 10 minutes of your time, the S&G community can spread donations to thousands of local shelters all around the US, and you get a discount on your next order just for being an awesome person. We should come up with some type of saying about "10 minutes could save you 10%" or something... nah that would never catch on. Email donate@sheetsgiggles.com for more help, or returns@sheetsgiggles.com for returns processing. Donate today and prove your mother right: you ARE a good person.